Probably one of the most frustrating things about travelling in India on my own was having a limited budget to spend on accommodation. With two people and two budgets I could have stayed in some fabulous places. Accommodation was hit and miss in India and planning only a few days ahead at a time had its advantages and disadvantages as I discovered. To save you some time trawling through Trip Advisor and various accommodation websites, if you’re looking for mostly mid-range accommodation, here’s where I stayed and who I recommend and which places you need to avoid like the plague. The Golden Fruits Business Suites. This was my first experience of accommodation in India and it was fine by Indian standards. I did struggle understanding the staff but I think this was due to acclimatising to India and their accents! The breakfast buffet was average and there weren’t many restaurants close by and I found it hard to get my bearings around the area. Its clean and tidy but I would recommend to hire a driver if you stay here to get access to better food options. Hotel Bon Sejour. With grand rooms and fresh herbal bath soaps made by Sri Aurobinda Ashram I thought this would be a great place to stay for a few nights, but looks are deceiving. After a poor check in the level of service in this hotel continued to go down hill. They decided to pack down a conference loudly until 3am. I was then woken up to loud music being played at 6am for no clear reason. And if that wasn’t enough to stop you sleeping there was a mosque nearby, which normally I don’t mind but after the lack of sleep two nights in a row this wasn’t helping. Avoid staying here if you can. 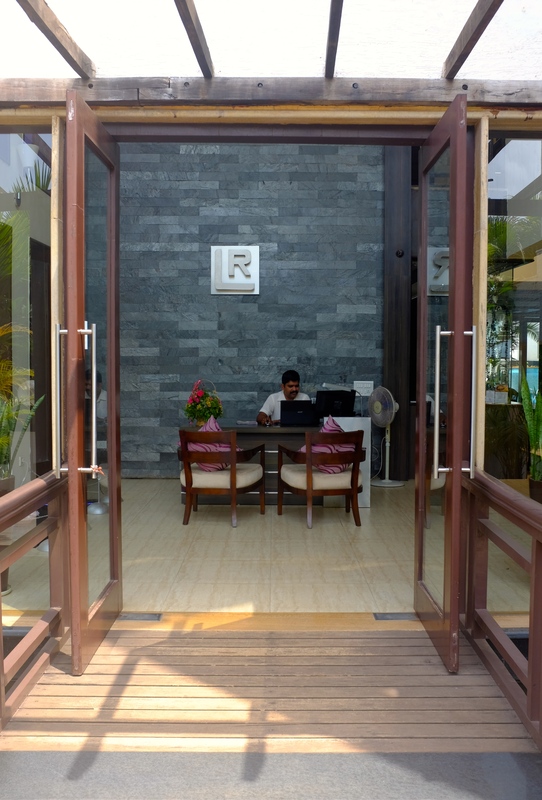 There are some great places to stay in the French Quarter in Puducherry such as The Promenade, but unfortunately they were all booked when I was planning my stay. 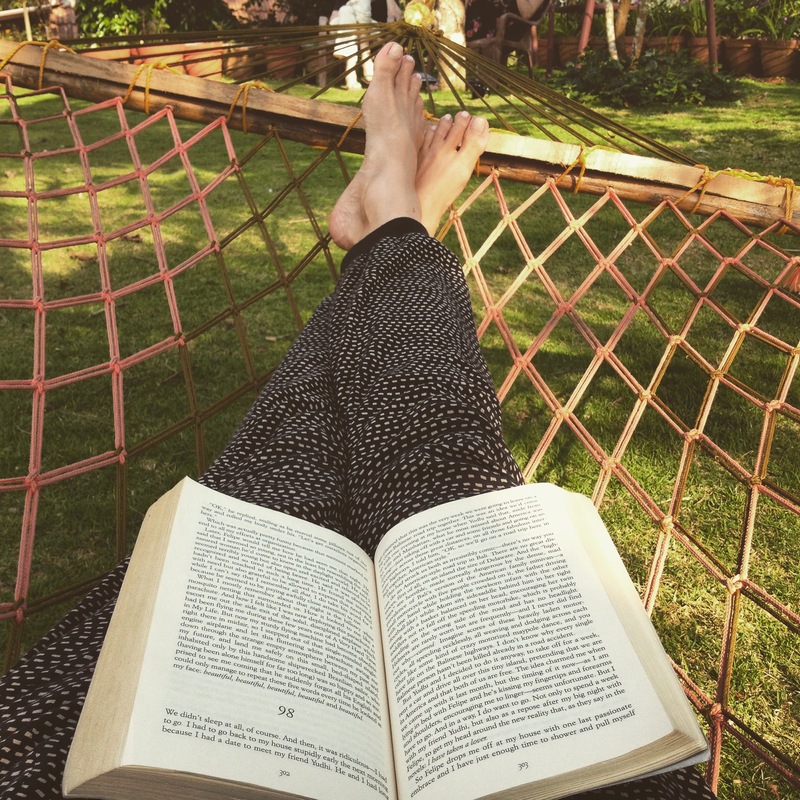 My tip for staying in Puducherry, book well in advance especially if you’re planning on staying over a weekend as it’s a popular weekend destination for locals. Hotel Bangalore International. I stayed here with a friend who was working at a conference held at this hotel. It was another hotel with average service and I was beginning to understand that this way normal in India. With poor wi-fi (when deemed as an international hotel) and seeing the staff pick up food with their hands at breakfast, I’m sure there are better places to stay in Bengaluru! Shreyas Retreat. On the outskirts of Bengularu I was fortunate to stay in this luxury retreat with a friend. With a hefty price tag it’s not for everyone’s budget but if you are looking for a retreat in India I would highly recommend staying here and you can read about it here in one of my earlier posts. Parkland Inn. I was hoping to stay in Mysore at the Lalitha Mahal Palace Hotel, the old queens palace and a recommendation by a friend, but unfortunately it was fully booked. I don’t understand how Parkland Inn received such great reviews from the Lonely Planet and Trip Advisor. The bathroom in this hotel was horrible. I was welcomed with hair from an earlier guest, the hotel smelled of smoke which they said was coming from outside of the hotel and the door into my room was impossible to open. I had to ask staff to open the door for me four times! The only good thing about this hotel was its excellent proximity to the palace. Varnam Homestay. This was another recommendation from a friend and a wonderful place to stay. 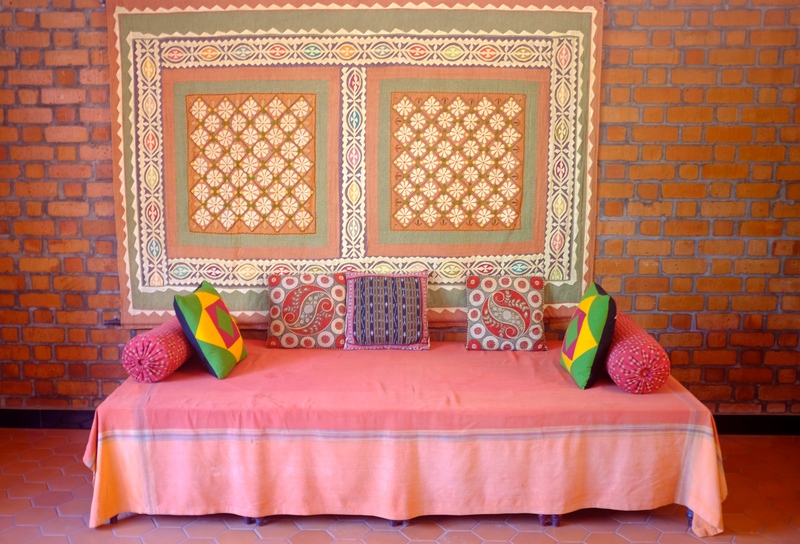 This was my first experience staying in a homestay and a great one. Beena and her husband offer helpful friendly service, with good food and clean rooms. With a large lawn and hammocks to lie in it’s a great place to park up for a few days to relax and unwind. The Serai Resort was also recommended by a guest staying here if you’re looking for a more luxury wildlife experience in Kabini. Bernard Bungalow. 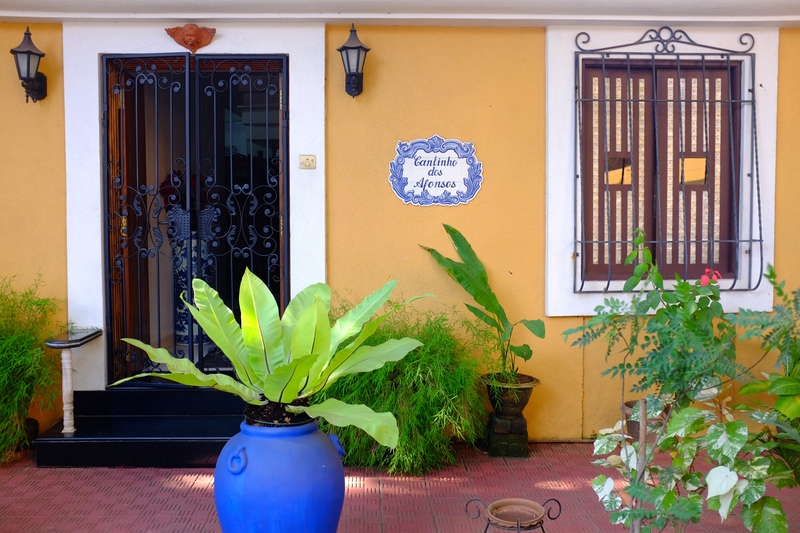 Located in Fort Cochin, this homestay has basic rooms, is affordable and an easy walk to the local shops and restaurants. Tip: Pack mosquito repellent if you’re staying in Fort Cochin, they were prevalent in both places I stayed. Kaits Home. Lovely friendly hosts and great food, but unfortunately it was over priced with tired old rooms. They also charge for lunch and dinner which should really be all-inclusive in the room rates due to its isolation, as alternative food and restaurants was not an option. I ended up only staying here one night instead of two. Woodhouse Beach Resort. This place was odd. On the surface it was clean and tidy and not too far away from the main drag but far enough away for some quiet. But when I asked for soap they said I had some. Ah, sorry no I don’t. Yes you do. I went back and had another look and it was in a box labelled shower cap! The tooth kit had a tooth-brush for emergencies but no toothpaste. The doors wouldn’t shut properly and someone could have potentially smashed the door open. There was no remote for the air-conditioning, just the one temperature and yet again poor wi-fi. Plus they only had one room key which meant if you wanted a clean room you had to hand it back to them which they didn’t really seem to clean anyway. I had wanted to stay in Varkala at Soul & Surf, but unfortunately it was fully booked. Amrutham Gamaya. I had a wonderful stay in this retreat, the service was excellent, but it did lacked comfort and had poor wi-fi. You can see my review here in a previous post. Hotel Neelakanta. This hotel felt tired but it’s pool was clean as opposed to swimming at the beach. I wasn’t a huge fan of Kovalam and two nights was more than enough for me. Again I wa met with another odd moment when a staff member asked to come into my room wanting money for a tip for the bell boy. If you can stretch your budget try staying at The Leela. Seaview Hotel Kanyakumari. A great place to watch the sunrise from the roof of the hotel. In fact the location couldn’t be better. However the restaurant and breakfast was disappointing. If staying only for one night its manageable especially with it being so close to the sea. It’s an easy walk to watch the sunset in the evening and to the vibrant fish market in the morning, but opt to eat out in one of the local restaurants. Madurai JC Residency. Finally a hotel that felt like a hotel! Excellent food and service and located not far from the temple. I enjoyed being able to have a workout in their gym, but I would recommend bypassing any spa treatments. I had a terrible pedicure which was always going to be a gamble! 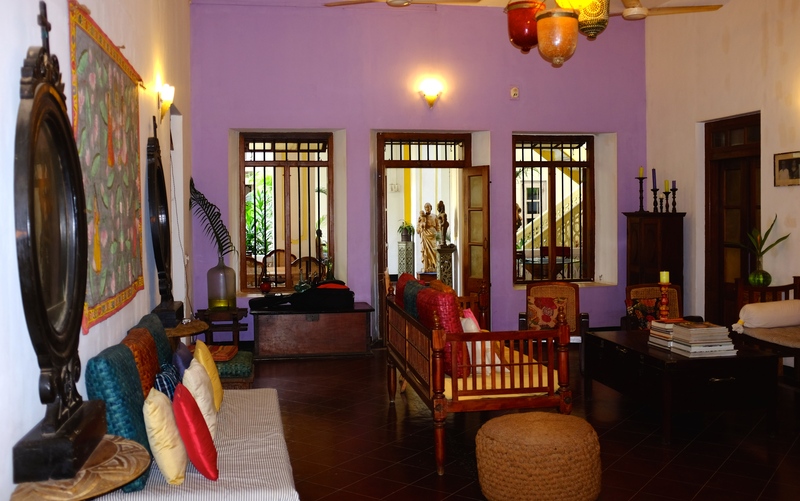 Afonso Guest House, Panaji. A lovely quaint guest house with nice helpful staff. There’s a lovely terrace to eat breakfast on in the morning and it’s close to everything you need. I would stay here again. Lotus Sutra, Arambol. I choose to stay in a Deluxe AC Wooden Cottage for three nights. The location was good with easy access to the beach and the staff were friendly. The stay would have been better if the rooms had been swept daily due to the sand being brought in from the beach and it was slightly off-putting having stained sheets on my arrival! Living Room Boutique, Vagator. Again overpriced but a nice hotel and restaurant. It’s a good ten to fifteen minute walk to the beach so don’t forget to pack some water on a hot day. Art Resort, Palolem. I was recommended to stay at Ciaran’s in Palolem, but I found the owner arrogant when I enquired about a reservation. It turns out I wasn’t the only one. For the same price as Ciarans, the Art Resort was a great find and I ended up extending my stay as it was so enjoyable. The resort is rebuilt every year offering unique bungalows and beautiful Palolem beach is right on the door step. There are thoughtfully placed outdoor mini baths to wash your feet in so you don’t drag sand throughout your room and the restaurant has excellent food and cocktails. I literally didn’t move from the resort for nine days and I would definitely stay there again if I was on my own. If you’re a couple and looking for something quieter and away from the main beach of Palolem, I stumbled across Turtle Hill. 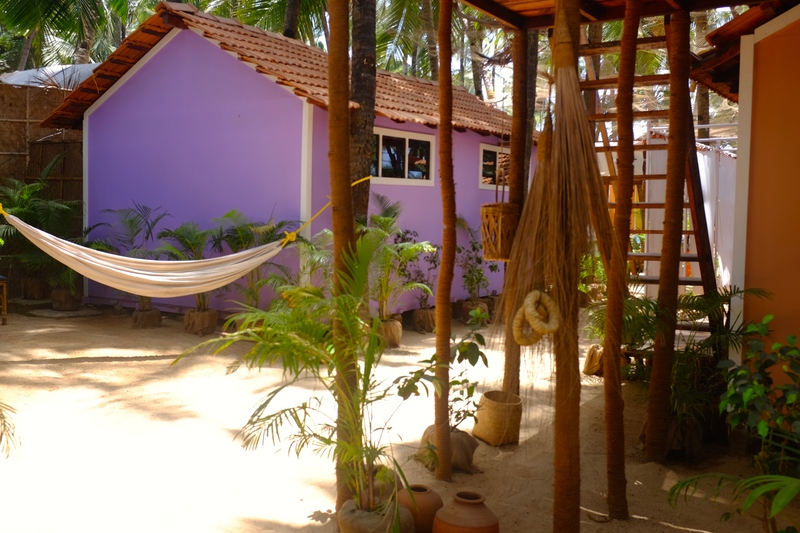 A nice boutique property on a walk from Palolem to Patnem beach. Its well worth looking into. Abode. If you’re tall and not open to using communal toilets then you may want to re-think staying in this boutique hotel. With low ceilings in the corridors and bedrooms it can feel claustrophobic at times. 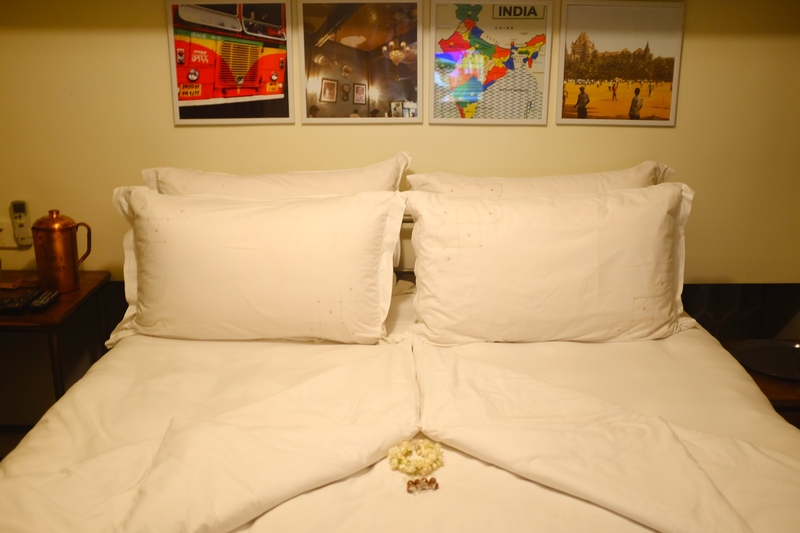 But located in the heart of Colaba and near the shops, restaurants and tourist attractions I would stay here again. The hotel has thought of everything. Guests are given mobile phones to use at will during their stay. 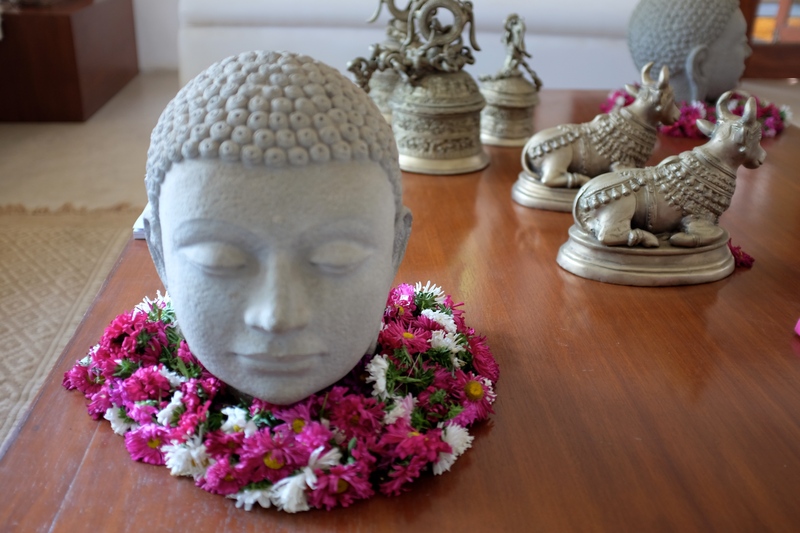 You can attend astrology, yoga and cooking classes and the hotel supports a local school for the blind and their students studying massage, if you’re game enough to try one. And I did. It wasn’t the best massage I’ve ever had, but at least it was going towards a good cause and the cooking classes were highly recommended to me by some guests. But the best thing about staying in Abode was at the end of the long day it was nice to go fall asleep in their comfortable, cosy, bed linen. Taj Mahal Palace. If you want to give yourself the five-star treatment then the Taj is worth a stay. I spent my last night in India staying here and to read more about my stay you can read it here. Looking for boutique and bespoke holidays in and around Goa and don’t have time to spend hours researching? Try KOKOIndia to help you find that unique experience. I have had wonderful experiences with Airbnb and is highly recommended by me. Reblogged this on Dipyaman Roy. I found you from about.me and I got to say I’m really inspired! I’ll be sure to visit your blog!